Blackout Blinds are a fantastic solution for controlling light in the home. Read what our experts say about getting the most from your blackout blinds. Our range of Roller blind fabrics with blackout coatings is perfect for helping you and your family get a good night’s sleep. You’ll love the neat finish and they’ll help to keep unwanted light at bay. All of our children’s Roller blinds feature a blackout coating; because we know just how important a good night’s sleep is. And for a further blackout effect, choose a Perfect Fit frame. The frames clip directly into your uPVC frames and help to reduce light flare at the edge of the window. They’re really good for grown-up bedrooms too. Choose from our range of sophisticated fabrics, or make a statement at the window with a striking bright. Blackout Roller blind fabrics are perfect for bedrooms, it’s true. But they’re also great for other rooms in the home. If glare on your television or computer screen is troubling you, a blackout fabric at the window could help. They’re great for cutting out light in sunny south-facing rooms too. 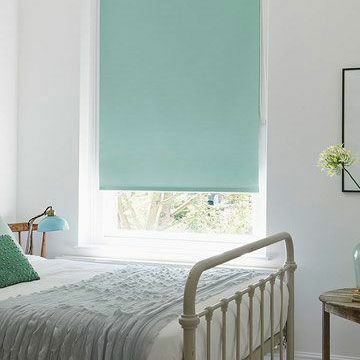 Whether you’re looking for a blackout Roller blind fabric for your child’s room or for a sun-trap elsewhere in the home, one of our advisors can help. Simply make an in-home appointment and your local advisor will offer you advice tailored to your home. You’ll have the opportunity to browse all the fabrics, holding them up at your window to see exactly how they’ll look. Your advisor will measure your windows and leave you with a quote. 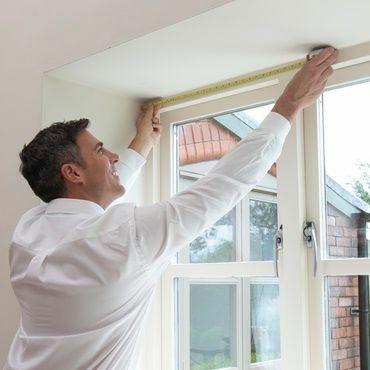 Your advisor will measure up your window so you can be sure that your blind will fit perfectly. 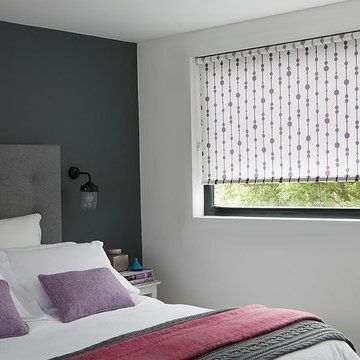 So when you choose a blind with a blackout fabric from Hillarys, not only will the finished design look gorgeous, but the made-to-measure design will help to reduce light at the window.